War from a totally perspective. How it affects all members of a family. Does not focus on the blood and gore, but on the human emotions of the spouses and family members involved. I had a hard time putting the book down until the last page. I found it a book with a few twists that were totally unexpected. 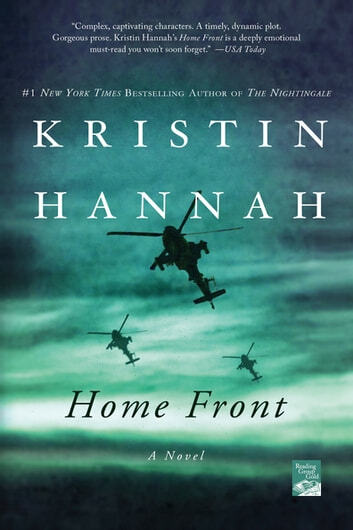 This was Kristin Hannah's best one yet, but I say that every time! 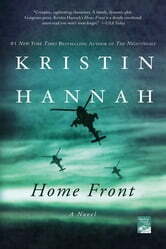 This novel make you realize what soldiers and their family really up. I cried but thoroughly enjoyed the book and would recommend it. Great read. I learned so much about military persons and the prices they and their families pay. Everyone should feel and live vicariously through this book. Well written and engaging book. I'm still shaken with emotions as I write this review. It is a view many of us, have not had to experience and for that I'm thankful. It is written from one women's perspective, though I'm sure it is one that many in the same position share.